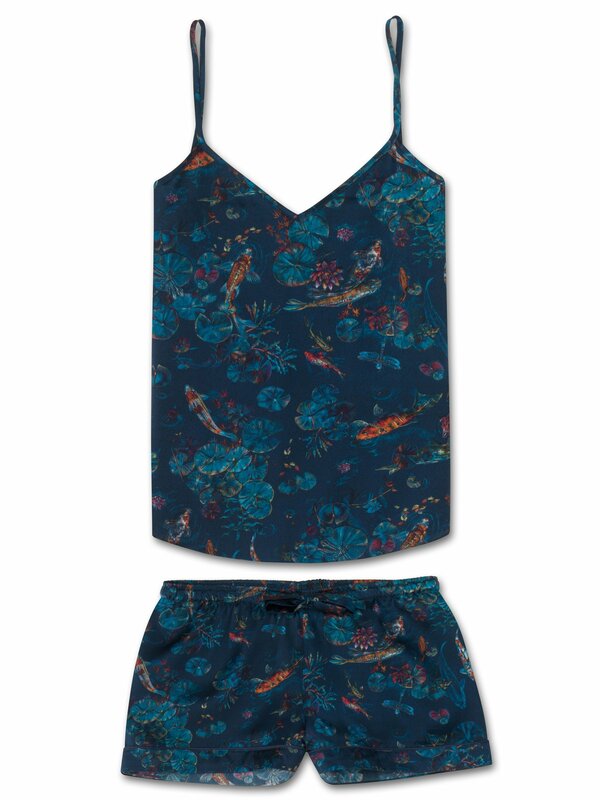 Ideal for luxurious lounging and sleeping, the Brindisi 28 women's cami short pajama set features a beautiful hand-drawn print that utilises a dark navy background to offset the colorful, inky illustrations of koi carp swimming amongst the lily pads - traditionally a symbol of luck and prosperity in Japan. Featuring a flattering A-line body, adjustable spaghetti straps, side vents and a deep V neckline with bust darts for a tailored shape, our Brindisi 28 cami short pajama set is crafted from 100% silk that has been digitally printed onto in Italy. Produced in extremely limited quantities and the result of hours of loving craftwork by our skilled pattern cutters and seamstresses in our Cheshire, England workshop, this luxury camisole set is cut delicately by hand to ensure we maintain the supremely soft and smooth satin finish. 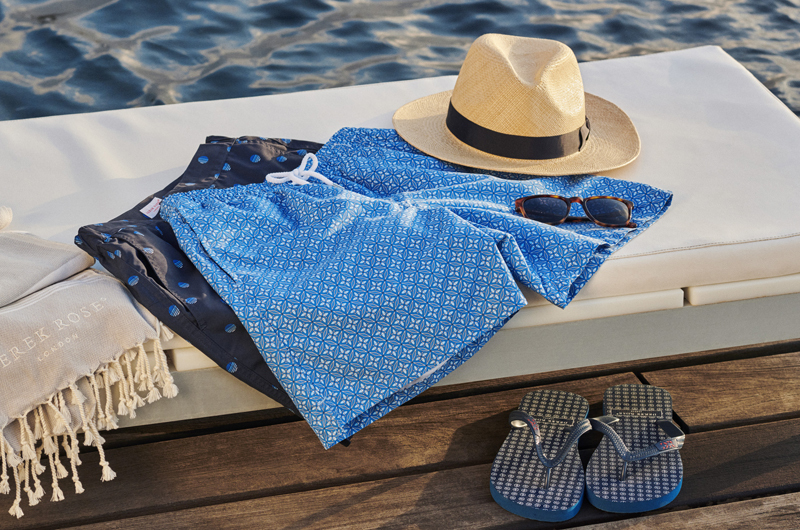 The set also features shorts with an elasticated waist and self-fabric drawstrings for added comfort. The shorts are finished with navy blue piping for an added touch of luxe.